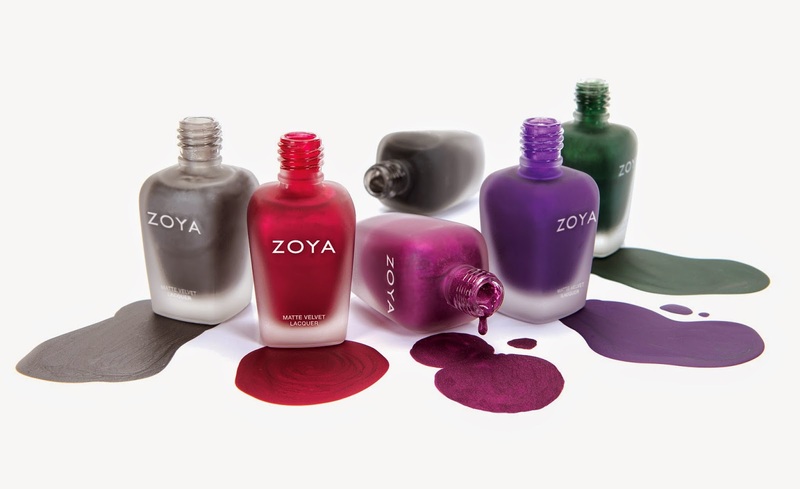 Never Enough Nails: Zoya MatteVelvet Re-release! Right on trend, these exclusive shades are being reintroduced for a limited time only!ZP499 - DOVIMA: Shimmering Black MatteVelvet*. I have some from the original release and they are really gorgeous. They are matte, but they have that shimmering look. I can't wait to get the ones I missed!